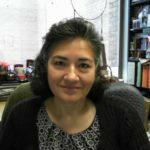 Leticia De Leon has been an educator for 25 years, with the last 15 at the university level, in a teacher preparation program. She has a doctorate in curriculum and instruction, concentrating her teaching and research in designing transformative learning experiences that engage and motivate adult learners. Related areas of expertise include technology integration, online instructional design, and leveraging immersive tools for project and problem-based learning.